It's now the end of January, the sales are or already have come to an end and I'm on my third haul of the month... you can see those here and here. I don't think I've ever spent so much, but truth be told I've picked up some fabulous bargains over the past month and this is quite a mini haul with some vouchers thrown in. I'm a huge lover of perfumes, like most girls, and I believe you can never have to many. I got a voucher for Christmas for Boots and they were nothing I particularly wanted in-store. When scouring the Boots store at Trafford Centre, with Dad in tow, I was pleasantly surprised to find that all the perfume gift sets were marked down to half price. The set I decided to go for was the DKNY Be Delicious perfume, size 50ml (RRP £48.50) for just £24.25. Shopping trip wouldn't be complete without a cheeky trip to Lush. 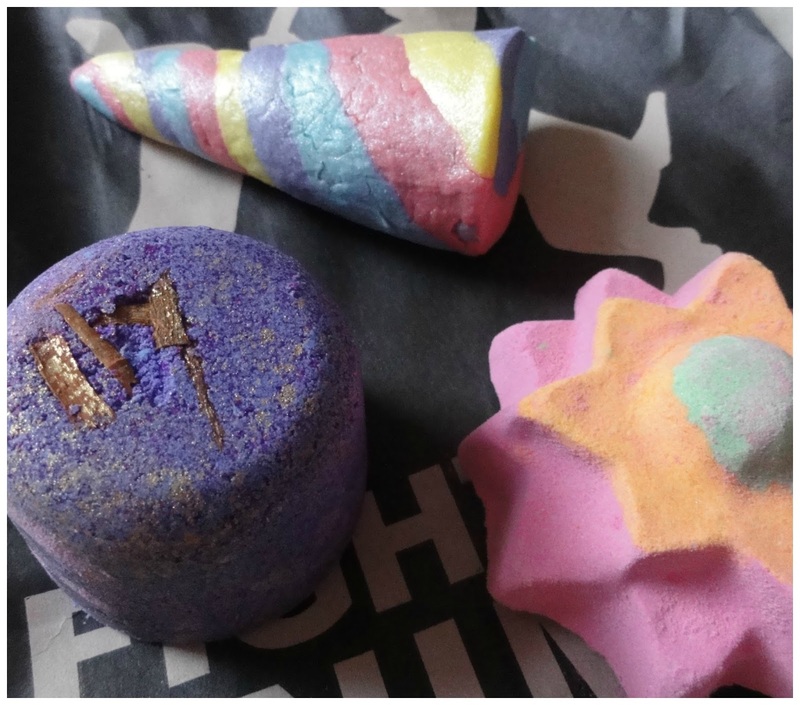 I picked up a couple of limited edition Valentines Day products; Unicorn Horn bubble bar and the Floating Flower bath bomb (review coming soon). I then picked up one of the Phoenix Rising bath bombs too. After reading About a Girl and What a Girl Wants by Lindsey Kelk I just knew I wasn't done with this author. Lindsey is a brilliant writer, on a Sophie Kinsella scale and her chick-lit books are just hilarious and such easy, fun reads. 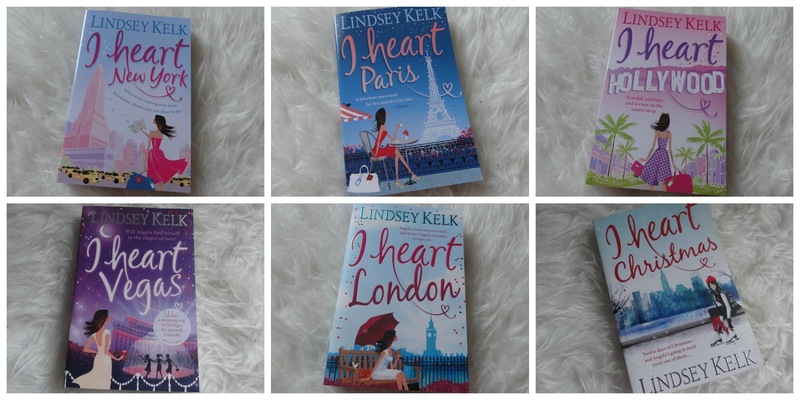 I've heard a lot about the I Heart series so I quickly went on Amazon and Ebay to order them all at bargain prices. I also ordered the Single Girls to do List, which unfortunately hasn't turned up, and after some research it seems I'm not the first person to have issues with this particular seller - it's now 2 weeks later since despatch date.